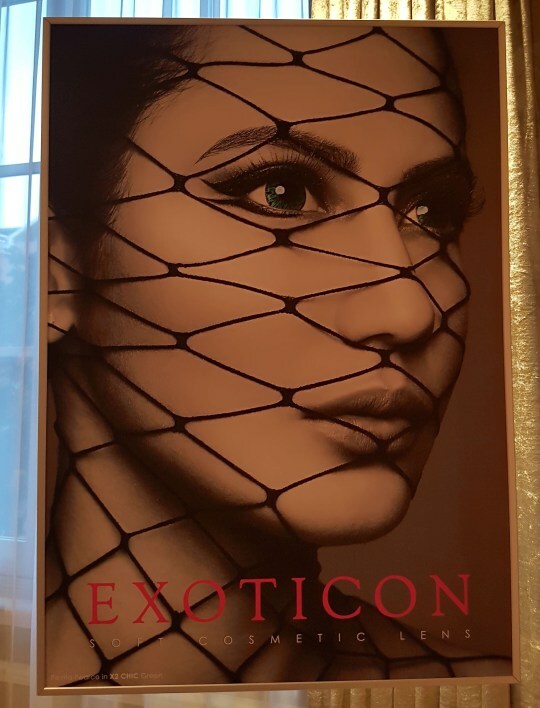 Yesterday, I attended Exoticon, soft cosmetic lens brand event, and they introduced their new brand ambassador, Pevita Pearce. This brand has been well known since 2001 and ever since, they’ve worked with many Indonesian celebrities before as their previous brand ambassador such as Krisdayanti and Agnes Monica. 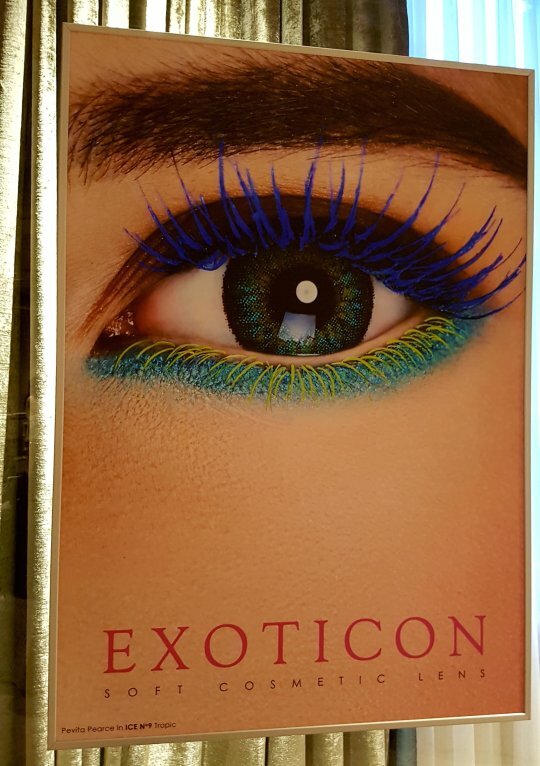 At the event, they explained that as a pioneer brand for colored soft lens, Exoticon and their campaigns “Play It Safe” and “Love Your Eyes” which will help and remind customers to use contact lenses safely. Yes, we want our eyes to look beautiful, but beautiful must first be healthy. 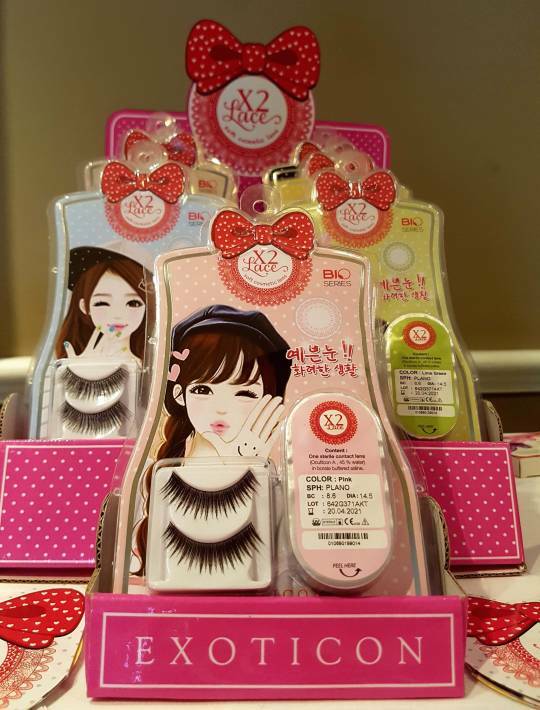 And they will show us how to use contact lenses correctly. Perfect for first user like me. Yeah, (to tell you the truth), I’ve never ever wear contact lens before. The idea of inserting something inside my eyes terrifies me. But maybe that will change after I know the safest way to use one. I mean, getting gold colored soft lens will be super awesome. And thanks to the technology called SDD (sandwich Dyeing Doughnut), Exoticon is safe and comfortable. Registered to Ministry of Health in Indonesia, this multi-layer polymerization technology will make sure the color won’t fade too. They have lots (seriously, lots) of colors and patterns. Some came with cute boxes too. 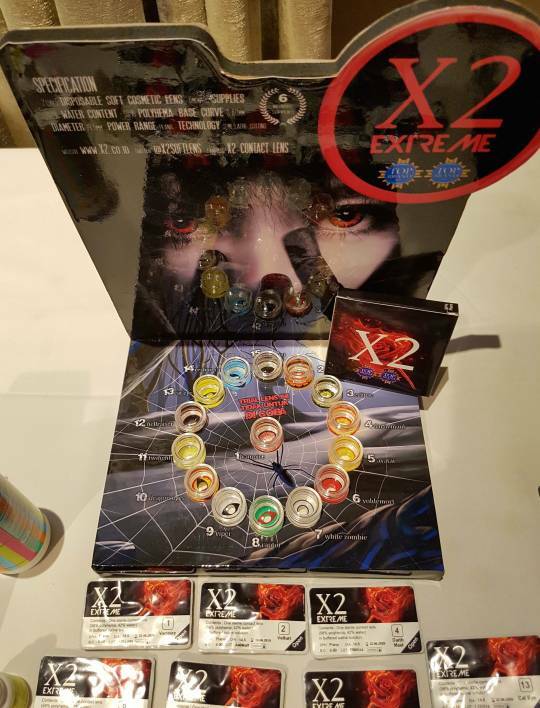 If you’re confused which collection to choose (they have X2, A+ and ICE), because they are very different in design and pattern, they have X2 Society App. 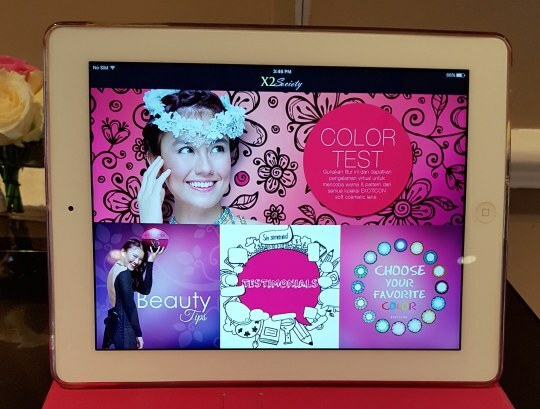 Available in Google play, try this virtual app to choose every shades from their collection. 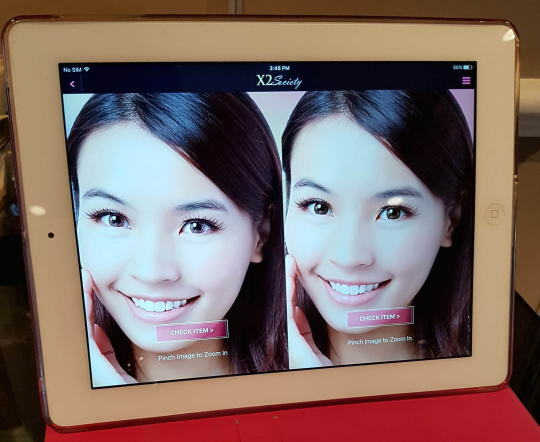 Choose your skin tone and choose along all Exoticon collection. Comparison is also very important, to see which one suits us best. In this app, we can also find out detail information about products and beauty tips.